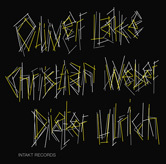 Compositions by Oliver Lake except “For A Little Dancin’” by Dieter Ulrich. Recorded March 31 and April 1, 2009 at Sound Development, Zürich by Heiner Merk. Mixed and mastered by Willy Strehler, Christian Weber and Dieter Ulrich at Klangdach, Guntershausen.